I have wanted to visit Ireland for as long as I can remember. My full name is Maggie Colleen McCulloch; obviously the product of a proud Irish family. I grew up hearing stories about Ireland; how kind and resilient the people are, how lush and green the countryside is, the traditional songs and tales, and the absolute wildness of both the land and those who inhabit it. It felt like home years before visiting became a remote possibility. When I finally landed in Ireland, after all of those years of yearning, it truly felt like a homecoming; the land was green, the people kind, and there was always traditional Irish music to listen to. I finally understood the wildness I had always felt inside of me. As much as I learned about the places and people of Ireland while I was there, I learned about myself even more—the beauty of travel! 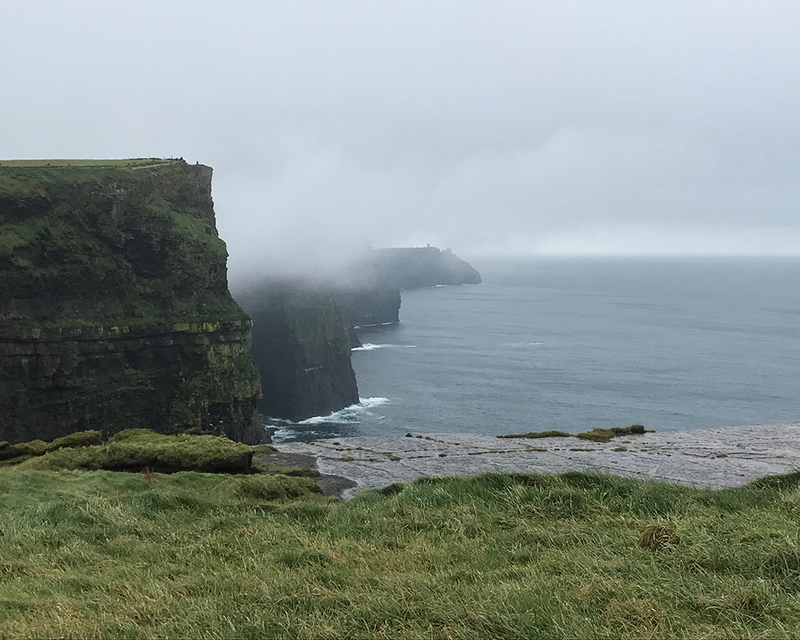 As you read in my last Gluten Free Travel Blog, I started my journey in Dublin and then traveled west to Galway, stayed along the western coast and journeyed down to the Cliffs of Moher and Doolin and back to Dublin! Here is part two of my Ireland Adventure. As stated in my last blog post, Gluten intolerance is very common in Ireland. This is attributed to the early Irish diet; before the Irish Potato Famine that lasted from 1845-1849, the main staples of the Irish diet were potatoes and oats, the latter being the only glutinous food common in the early Irish diet. Unfortunately, when the potato crops started to fail, the prices of other crops went up and oats became too expensive for most of the impoverished, starving country. Enter wheat bread! With over three million citizens lining up for meals at soup kitchens, wheat bread was cheap and filling and became a staple. However, after five thousand years of a mainly non-glutinous, potato based diet, the Irish’s digestive systems were ill equipped to handle the wheaty onslaught and as each new generation arrived, they could tolerate it less and less. Due to this, Ireland is basically a haven for the gluten intolerant, as every grocery store, café and restaurant has tons of gluten free options. My first meal in Galway was at the Quay Street Kitchen; Quay Street is a loud and bustling pedestrian street. 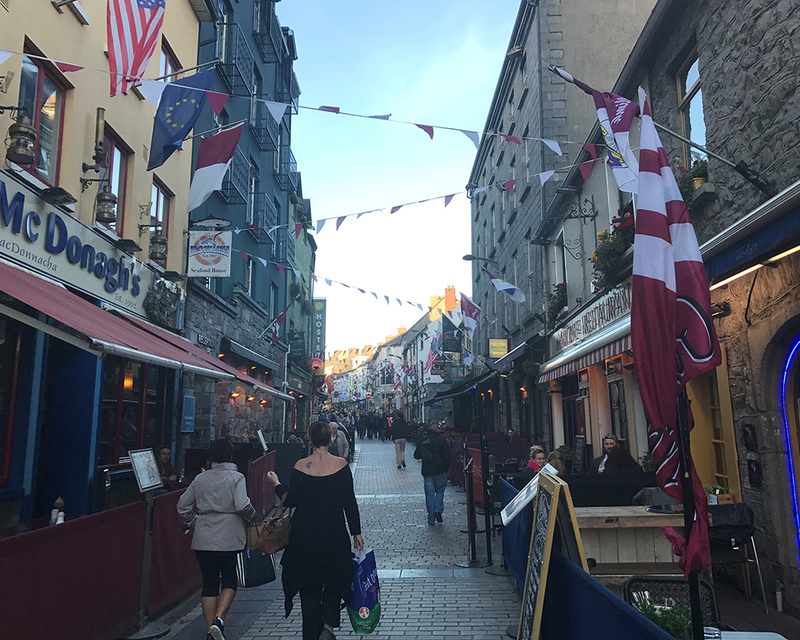 Quay Street is in the City Center of Galway; a long street filled with pubs, restaurants, and shops. Most of the restaurants had a partitioned area out in the street, where the loquacious patrons would sit until closing time, drinking their pints and interacting with passerby. To my delight, many of the restaurants along Quay Street had their menus displayed on this partition, enabling me to find Maggie-Safe restaurants without having to bother a server for a menu. We settled on Quay Street Kitchen not only because it touted itself as vegan friendly, but also because upon perusal of the menu, I immediately noticed the vegetable curry. My friends had no say…I am a curry fiend. The curry itself was Indian-Inspired and very flavorful, with a bite of spice that wasn’t too much. It had an excellent mix of vegetables; onions, carrots, peppers, potato, garbanzo bean and broccoli. It was served with a perfectly cooked plop of rice. I inhaled it. Not only was it delicious, but I was also ravenous after my cross country trip from Dublin that morning! One of my friends had the potato leek soup, which was vegan and gluten free, and was simple perfection. My other friend had a grilled chicken burger (which was gluten free if you got the GF bun!) that came with a mountain of (GF friendly!) french fries! It was the perfect lunch to begin our long afternoon of drinking pints (of Bulmer’s Irish cider, of course! ), perusing the shops for the perfect Irish wool sweater, and viewing the Aran Islands during our walk down the beach. There’s nothing that strikes fear into my gluten free heart like going to a restaurant I haven’t researched ahead of time; this fear doubles if the restaurant in question is off the beaten path or in a rural area. While in Galway, I stayed at a wonderful hostel, Galway City Hostel, which not only had gluten free friendly breakfast in the mornings, but also roomed me with some of the most wonderful people I have ever met in my life. After a long bar crawl the night before and the aforementioned gluten free breakfast, those wonderful people and I set off for the Cliffs of Moher in County Clare, about a two hour drive from Galway. About halfway through that drive we stopped for gas and noticed a lovely little café across the street! We popped in for a quick lunch and I was immediately delightfully stunned—there were multiple signs that said “Gluten Free Options!” and “Gluten Free Bread Available!” I chose a veggie loaf sandwich; the veggie loaf was vegan, gluten free and house made! The gluten free bread was not house made, but it was well flavored, solid and sturdy. The bread was slathered with hummus and the veggie loaf was cut thick and steaming hot, it was then piled high with fresh veggies. Served on the side was a delightful (vegan and gluten free!) cup of onion soup. 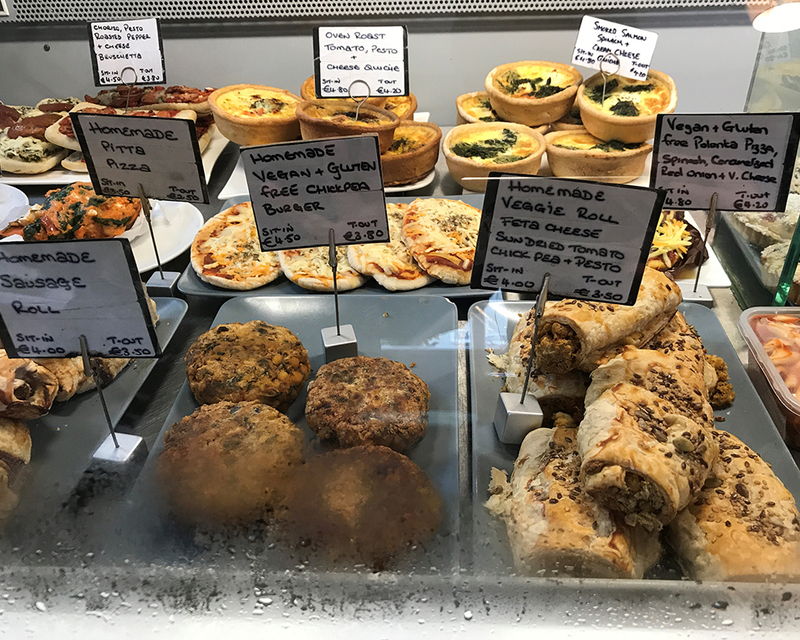 The Larder was quite the find and not only great for sandwiches; they also offered full breakfasts, a range of espresso drinks (with dairy free milks to choose from), and a bursting bake case! Though the bake case was full of delicious treats, I opted for a simple slice of gluten free orange poppyseed polenta cake. It was heavenly. Not overly sweet and with an amazing texture, it was demolished within seconds of being served. Have you ever walked into a place and just knew you were home? That’s how I felt walking into Doolin Café. 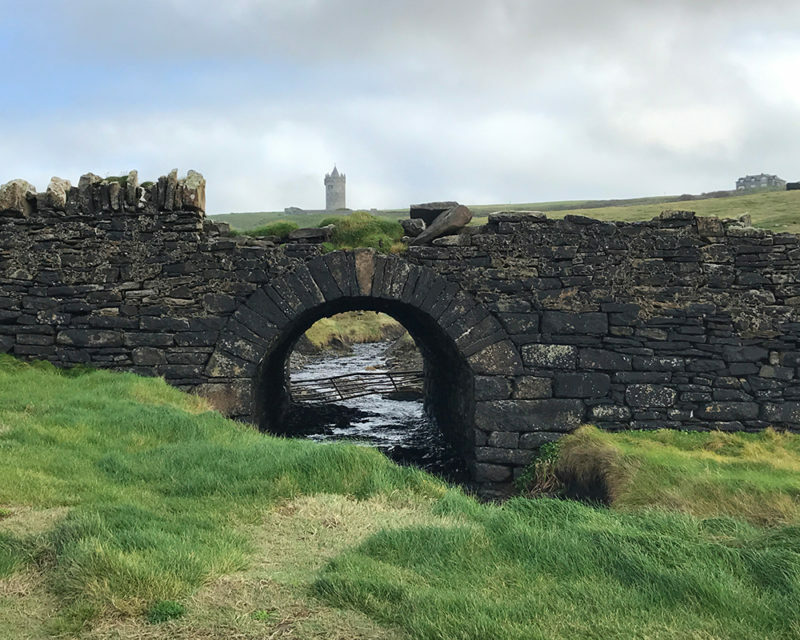 Doolin, Ireland is a small town of about five hundred people and it is one of the most hauntingly beautiful and wild places I have ever been. It is a hub for traditional Irish music, opens to the rough waters of the Atlantic sea, and is very traditionally Irish. It was not a place I was expecting to find a vegan and gluten free-friendly café. I stayed in Doolin for two days with a dear friend I had met in Galway and we spent our days hiking the sea cliffs, drinking pints while watching Irish musicians jam, antagonizing the local Irish boys, and eating at this café. 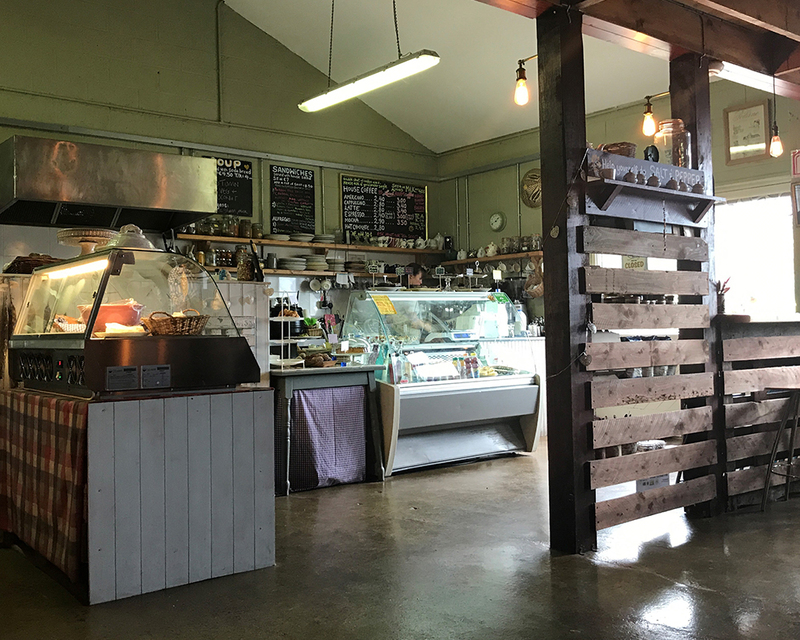 There were so many options at the Doolin Café that were gluten free AND vegan! They had gluten free pasta, gluten free sandwiches, they even had gluten free pizza! We started our feast with the perfect Irish coffee, which is really the only thing I ever want to drink. I had the tomato soup to start (V+GF) and then their vegan caramelized onion pizza. The pizza crust was polenta based and delightful; it was covered in a thick tomato sauce, layers of caramelized onions and greens, and topped with delicious vegan cheese. My friend had their vegan and gluten free chickpea burger and it was scrumptious! The burger stayed together perfectly, the bun was delicious, and she spent all day talking about how she was still full. 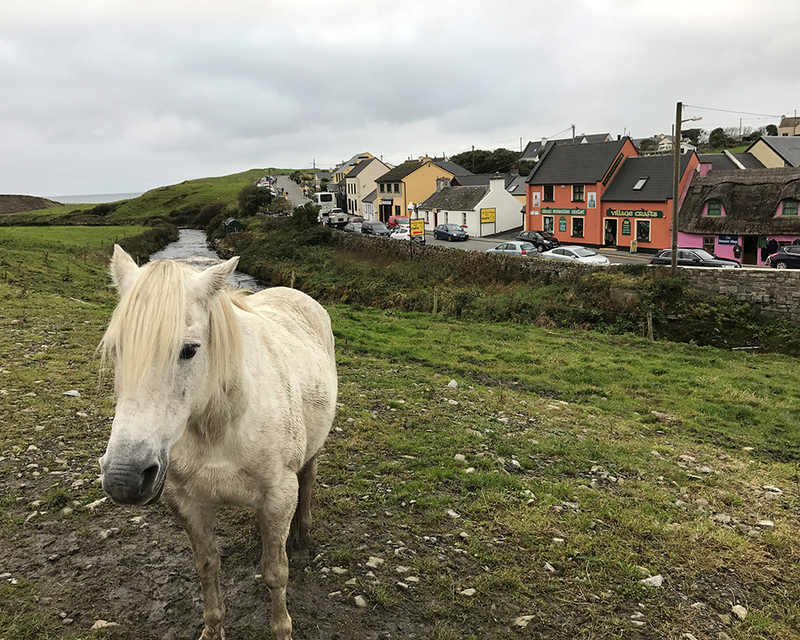 Doolin is definitely a must see, and the Doolin Café is a must eat! Note: as Doolin is a popular tourist destination in the summer and drops off in the winter, some establishments, including the Doolin Café, close from November-March. McGann’s Pub was a delightful, traditional Irish pub and the definite favorite of the Doolin locals. McGann’s had live Irish music every night, all of the finest Irish beers and ciders on tap, and a hearty dinner menu. My friend and I arrived as it was getting crowded; the musicians were setting up and the locals were streaming in for pints. We took a seat in the back and started perusing the menu. It was delightfully eclectic; many traditional Irish meals, as well as burgers and sandwiches, pastas and soups, and a few Asian inspired dishes. As I flipped through the pages of the menu, I didn’t see any allergen warnings—a first since I arrived in Ireland! But as I flipped to the final page, I found that they had a page dedicated to listing each allergen and which dish contains them, as well as noting what could be removed to make the dish allergen free. 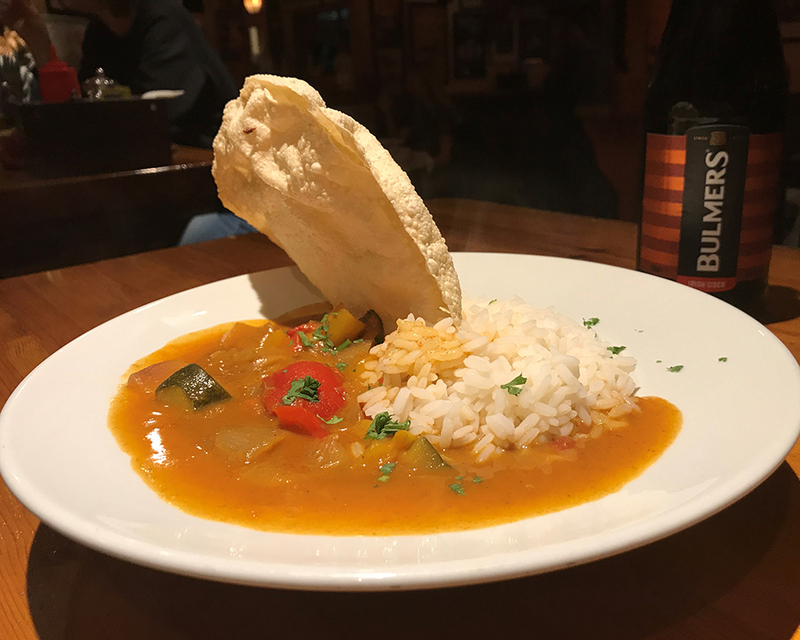 As I’ve already established, I have a lot of love for curry and can’t come across one on a menu without ordering it, so of course, I ordered McGann’s vegetable curry! It was naturally gluten free, bursting with veggies, and served with jasmine rice and a crispy poppadum. It was a much different curry from what I’ve experienced before, but damn, it was delicious! It was a dark yellow curry, much thinner than traditional curry, but oh so flavorful! It was filled with bell peppers, zucchini, onions, broccoli and potato. The rice was cooked perfectly and the poppadum was crispy and fresh. My companion got the pulled pork sandwich, which would have been gluten free had she omitted the bun, served with a steaming side of sweet potato fries. We washed our delicious dinners down with the best Irish cider, Bulmer’s, enjoyed the musical stylings of the traditional Irish band, made friends with our dining neighbors, and fully understood why McGann’s is The Spot in Doolin. I’m going to be honest here…I walked into this supermarket to buy some hard cider to share with my dorm mates…I walked out with bags of gluten free treats. Now, this Contra was quite small, about the size of a gas station convenience store. It sold some hot foods—pizza, fries, chicken, etc. and of course, the usual array of junk foods and candies, some fruits and vegetables, a nice selection of cheese, a whole lot of alcohol, and an absolutely insane amount of gluten free snacks! For mass produced gluten free snacks and bread, I am partial to Schar, an Italian gluten free company that makes breads, crackers, crisps, and ready-made meals. I have only ever found the bread and rolls in the United States, but at this little Contra in Galway, I found every snack I could possibly want! They had all the crackers, crisps, cookies, you name it! Along with Schar, they had a ton of other gluten free brands that I had never seen—Nairn’s, Gefen, and Free’ist; racks of gluten free cookies, crackers, breads, pizza crusts, wafers, and more! I couldn’t believe it. I had a lovely dinner that night of crackers, chocolate covered shortbread cookies, and snowballs, all washed down with that terrific Irish Cider. Ahhhh Maggie this is beautiful. I read each blof twice just because I miss our ireland adventures together. What I would do to go back!!!! You are an incredible writer – you took my right back to our perfect rainy days in Doolin. Love you.